The winter doldrums have finally come to an end, and Dr. Franklin has emerged from the darkness. While the quieter times are wonderful for study and reflection, costume repair and replacement and such, I am only happy when busy being Dr. Franklin. 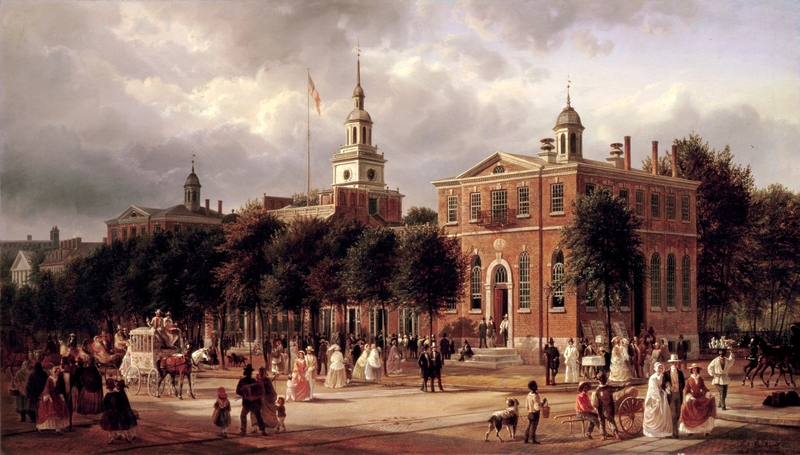 We have brought the Historic Philadelphia “Independence After Hours” experience back for Season Eleven, with audiences returning to Independence Hall for vignettes with Thomas Jefferson, John Adams, Benjamin Franklin and assorted colleagues. I will be taking Benjamin Franklin to Toronto in April for the VisitPhilly people, promoting Philadelphia to another international audience. Dr. Franklin will welcome the press and distinguished guests to Franklin Square for a celebration of the Tenth Anniversary of the revival of that wonderful place of family entertainment. I can tell you, also, that I will be welcoming a very special gathering of diplomatic security people from all over the world. I just can’t tell you where and when; such are the constraints and concerns of security matters these days. I hope that the arrival of Spring is showering you with all sorts of positive things.